1. The machine is mainly consisting of a frame, a power box, a chain wheel, a cutting chain,a transmission shaft and a delivery chain. 2. The armrest can adjustable for tuning left, right, up and down for fitting with persons with different height to operate. 3. 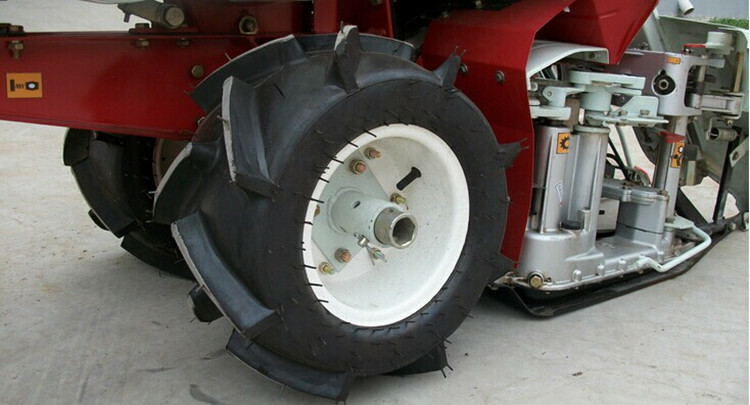 With a step-less speed change device, there by allowing the differential brake turn, small turn radius and flexible turning. 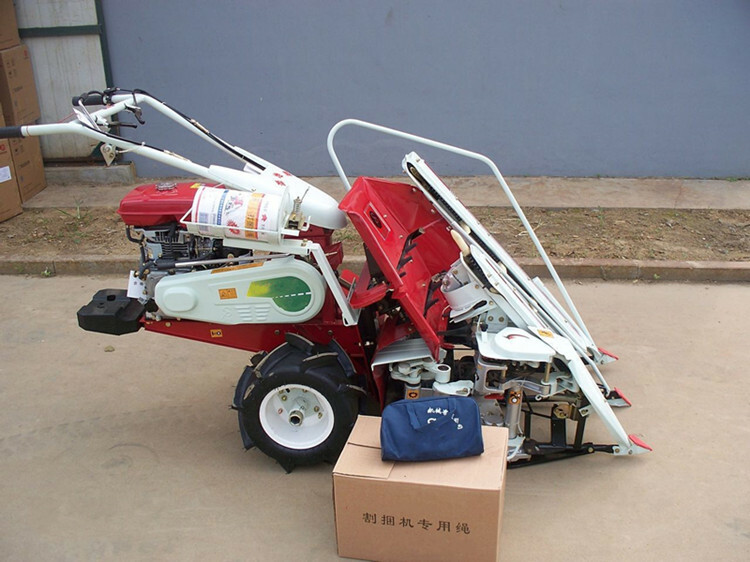 4.It is very economical, efficient, practical, light weight, flexible easy operation. 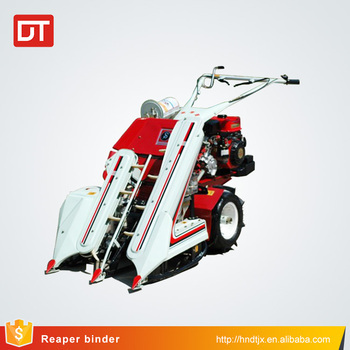 5.This type of harvester is like a lawnmower, and it’s small in size so a woman can pushed it by hand through the row. 1. Except the upstanding crops, It can also reap fallen crops(lodging crops). 2.The handle can be adjusted upward or downward, with 180° rotation, more safe and suitable for different heights people. 3. It’s with widen wheels, there is inner tube which are inflatable. There is differential gear, which can turn around freely. 4. 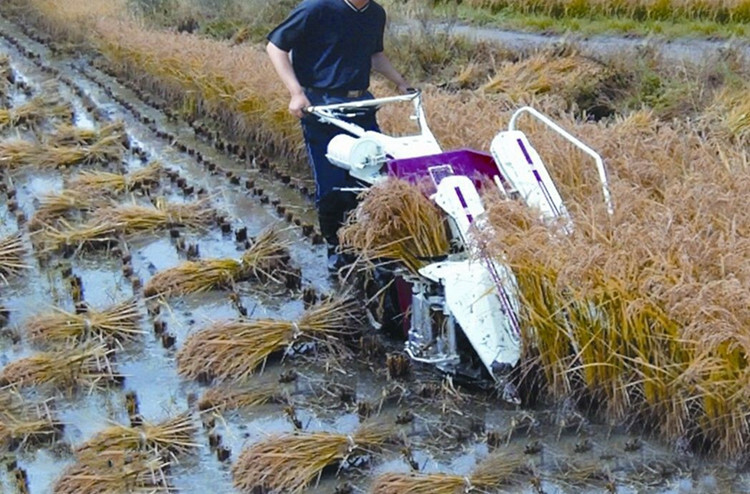 This mini rice paddy cutting machine adopts shaft drive, with bigger torque and high efficiency. 5. 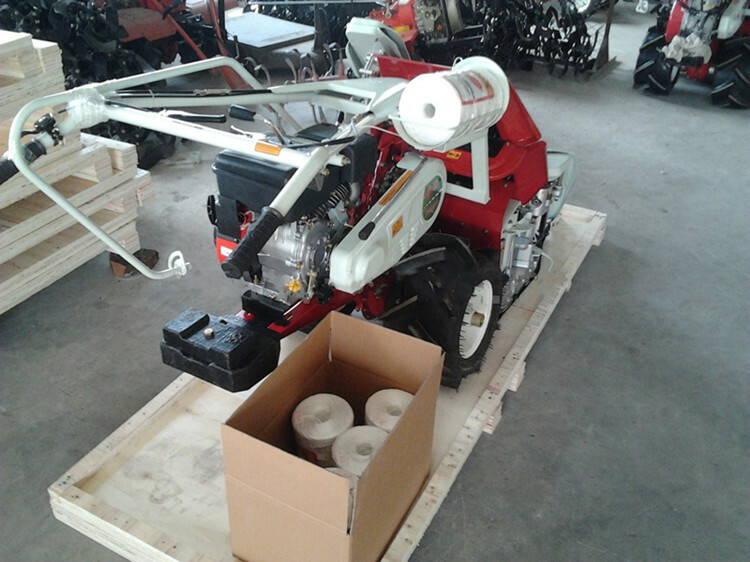 This mini rice paddy cutting machine is made of high quality materials and components. 6. 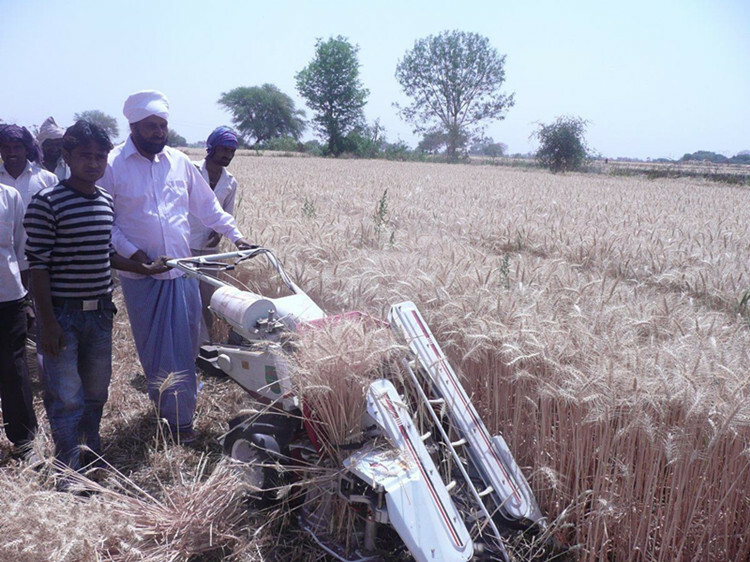 Small volume, compact structure, complete harvesting, low stubble, reaping&binding&putting aside at one time, more convenient and high efficiency, high quality, and long service life. 1. 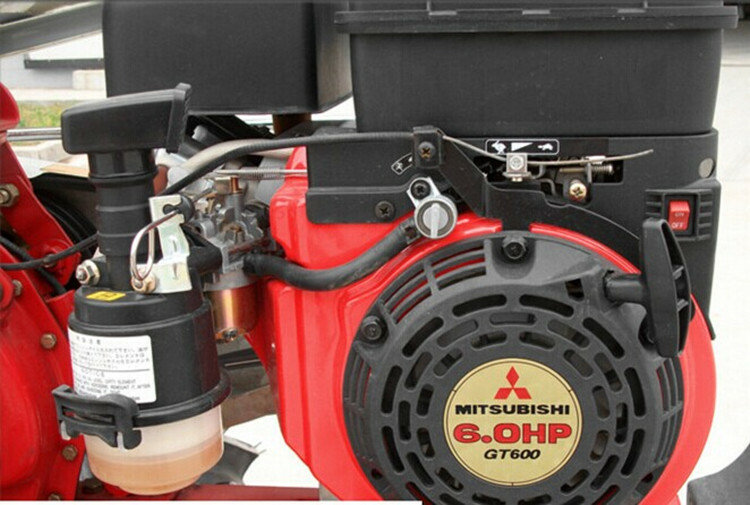 Japan Mitsubishi engine adopts 6 horsepower engine, easy to start, low fuel consumption. 2. 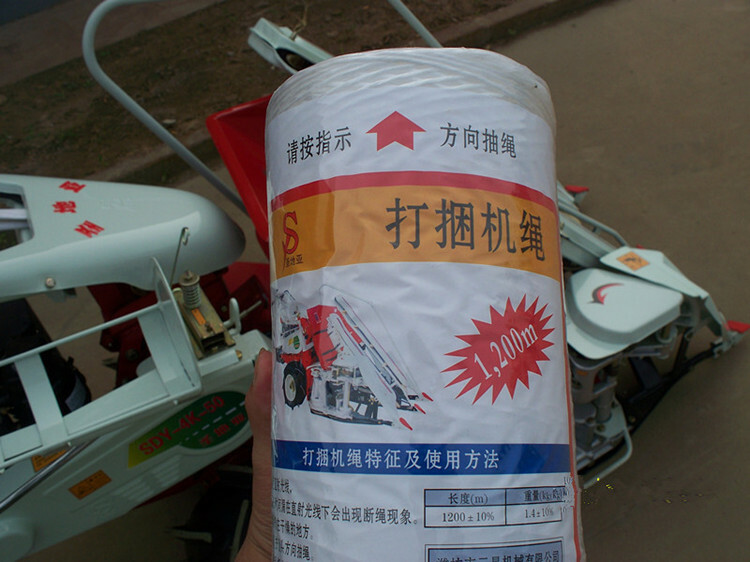 Walk paddy wheel is widened, the ground base area is larger, inner tube, can be used inflatable. With differential device, can be turn around in situ. 3. 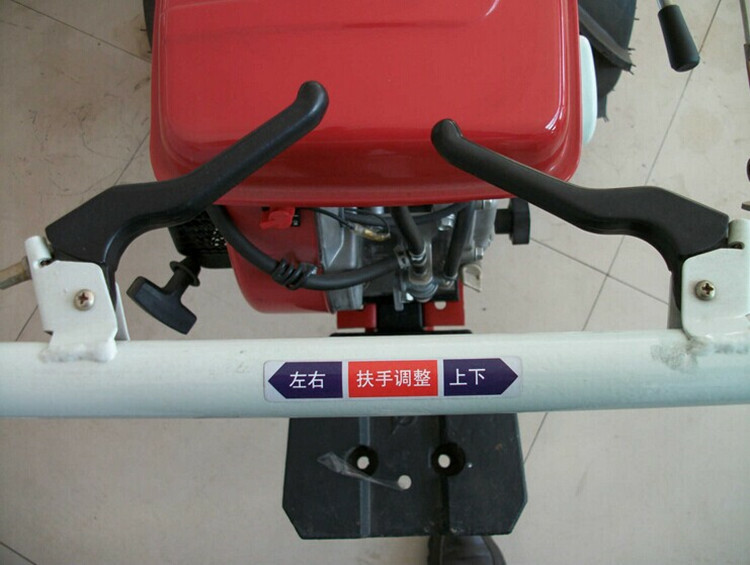 The control handlebar can be freely adjusted around 180°, vertical 30°adjustable, more flexible to operate in different field. 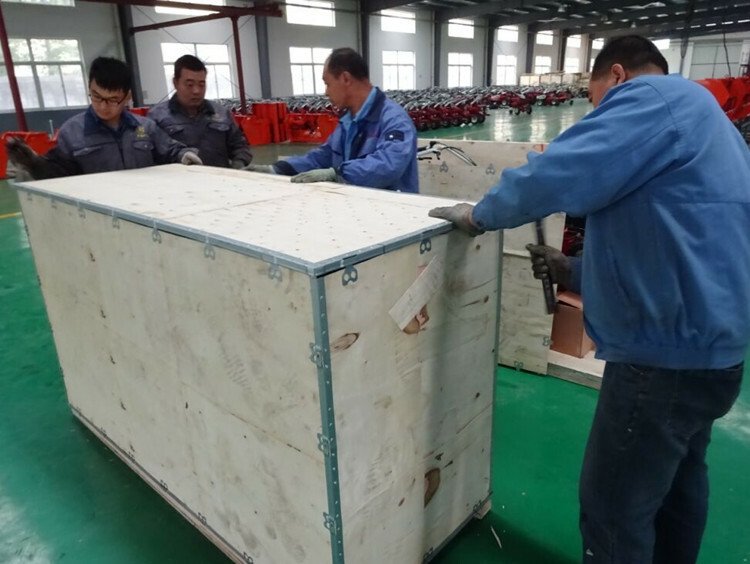 The machine will be packaged by plywood case. 1. Q: what is the warranty of your products? A: one year guarantee for the whole machine (except quick-wear parts). A: generally, within 15 working days after receiving your deposit. 3. Q: what is the payment term? A: T/T; L/C; Western Union; Trade Insurance, etc. 4. Q: what is your after-sale service? A: 7*24 hours hot line; timely supply for spare parts and technical training. Any interest, pls contact with me at any time.